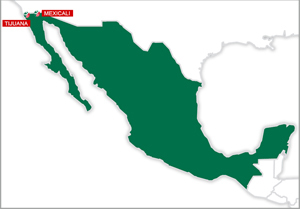 From October 5 to 12, 2013, the cities of Tijuana and Mexicali in Mexico will take centre stage when they hold the inaugural edition of the Women's Under 23 World Championship Open. This is the second time this year the cities have been afforded the opportunity to host an under-age World Championship after successfully hosting the Boys' U19 World Championship in June and July. Tijuana and Mexicali also hosted the Women's U20 World Championship in 2009.